The intended couple provides the combined eggs and sperm (embryo), which are transferred into the gestational surrogate's uterus. The gestational surrogate then incubates the pregnancy and delivers the child. The intended couple then assumes full responsibility for the child. The husband of the intended couple provides the sperm, which is inseminated via a slender catheter into the uterus of the gestational surrogate. The gestational surrogate provides the egg, incubates the pregnancy and delivers the child. The intended couple then assumes full responsibility for the child. The surrogate assumes the responsibility of the pregnancy and delivery. In the conventional surrogacy process, she also contributes the egg itself and, therefore, has a genetic investment in the pregnancy. In the state of Florida, surrogates cannot be directly paid for surrogacy services, but can be reimbursed reasonable medical and living expenses during the pregnancy and delivery. 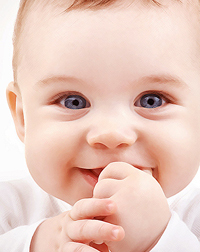 To be considered as a potential surrogate, please click below to complete an application. The application takes approximately 20-25 minutes to complete. Or, if you prefer, our staff can also contact you directly by filling out the contact information form here. Please be assured that all answers and materials sent to SRMS remain confidential. If you have any questions, please e-mail us at Fertility@DreamABaby.com or call 239-275-8118 and our staff will get back to you within three business days. You may also fill out the application form online if you Click Here.